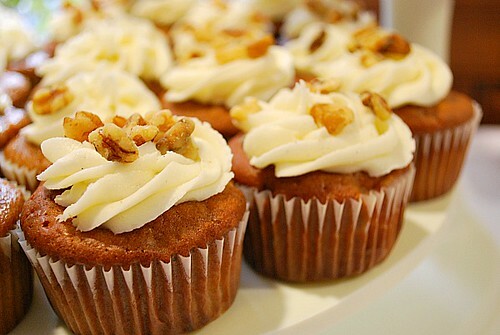 Serving up cupcakes in lieu of a traditional cake for a special occassion seems much more practical these days. There's no need to fuss with cake cutting, utensils, or even plates. 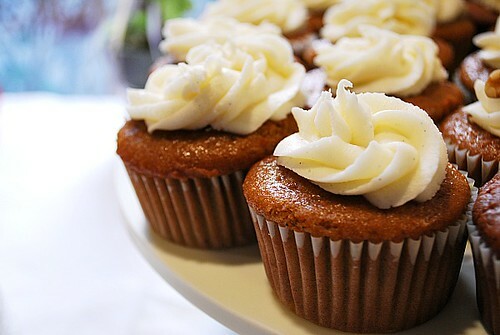 Cupcakes are the perfect choice for large parties and allows for making a few different flavors for variety. Well, my family's church was quite impressed with not only the presentation but the choice of flavors to reflect the season. I made four different seasonal flavors totaling 8 dozen cupcakes which easily fed the congregation and even a few lucky ones had some to take home too. 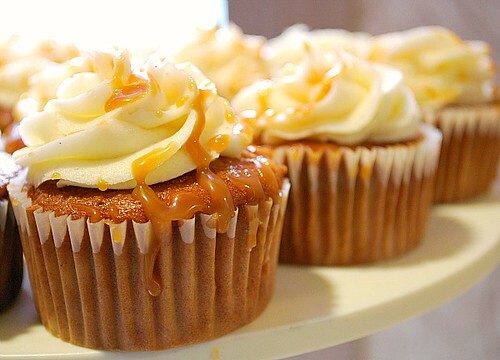 For the towers, I made the following cupcakes... so stay tuned all this week for the recipes! 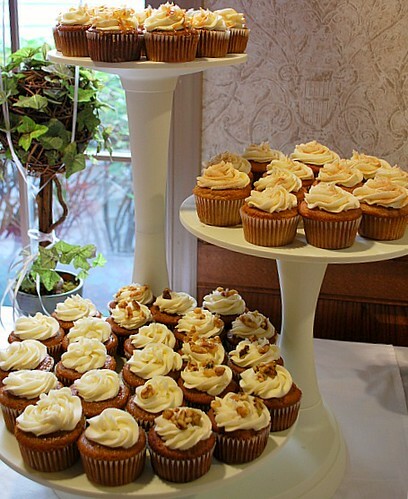 Wow Joelen, your cupcake display is beautiful! Would you mind sharing where you got the stands? My best friend is getting married next year and wants to have cupcakes. I love this display so much more than the traditional tiered stand. Thank you! 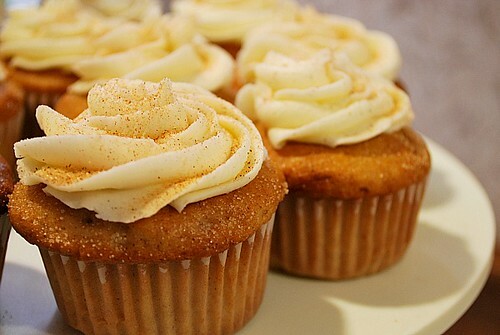 Ooooh I am looking forward to the snickerdoodle cupcake recipe!